Weeks after Pampers Dry Max diapers emerged unscathed from a federal investigation into thousands of complaints of rashes and burns, the brand got spanked by an advertising review panel for claims it said just didn't hold water. 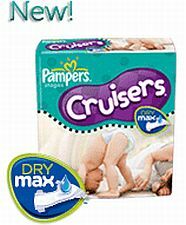 Procter & Gamble claimed Dry Max, the latest incarnation of disposable diaper was 20% thinner and twice as dry as rival Kimberly-Clark's Huggie's brand. The National Advertising Division of the Council of Better Business Bureaus reviewed a complaint by Kimberly-Clark saying that its rival couldn't support its grandiose claims and used an animated demonstration in advertising that distorted reality. "(The panel) concluded that at least one interpretation of the advertiser's '2X DRIER' claim is that there is a dramatic difference between the products with respect to re-wet performance – a message that is not supported by the advertiser's evidence," a statement about the decision said. The group said the Pampers ads should either be changed to reflect an actual performance difference or simply claim to be drier without quantifying it. In addition, Pampers ads should stop showing "comparative stacks of competing diapers, used to demonstrate the 20% difference in thickness." Procter & Gamble responded to the decision with this statement provided by the group: "With regards to the context in which these claims appear, and the visuals used to illustrate the same, Procter & Gamble intends to take NAD's recommendations into account in developing future advertising." The company that made the ad also told the group that its intention with the messages of twice as dry and 20% less thick were meant to convey that even though the diaper was thinner it could still hold urine. Although the U.S. Consumer Product Safety Commission said it could not find anything specific to the Dry Max diapers that was causing the rashes and burns, it left the case open and encouraged consumers to continue to report problems.